Let’s paint some wildflowers and weed, shall we? 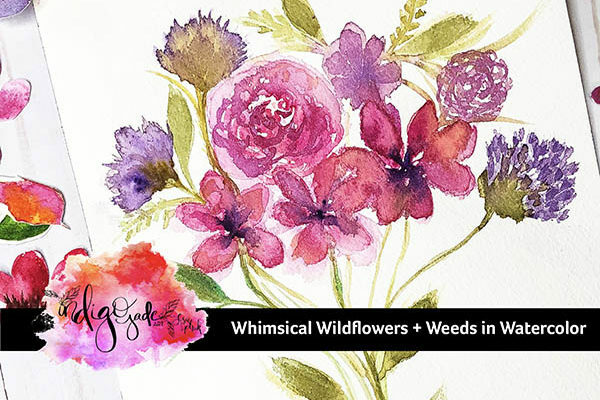 In this video, I’m painting a bouquet of wildflowers and weeds and sharing tips and tricks along the way. I’m also sharing some details about a new online watercolor course I’ll be launching this month, April 2019. 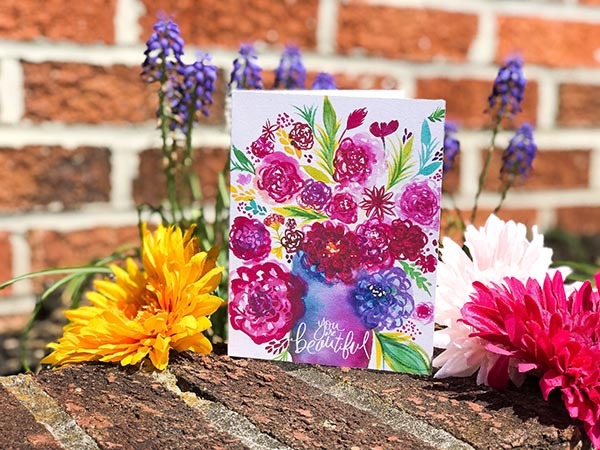 In this color mixing tutorial, I’m sharing how I mix up lovely lilacs, purples and deep violets for my floral paintings. 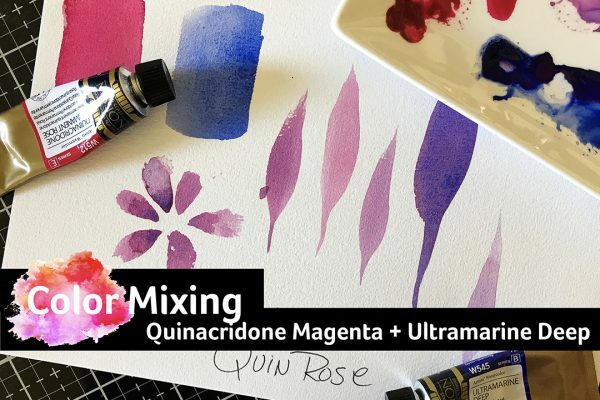 Using Quinacridone Magenta and Ultramarine Blue, I’m mix mashing them together to create gorgeous purples and violets. 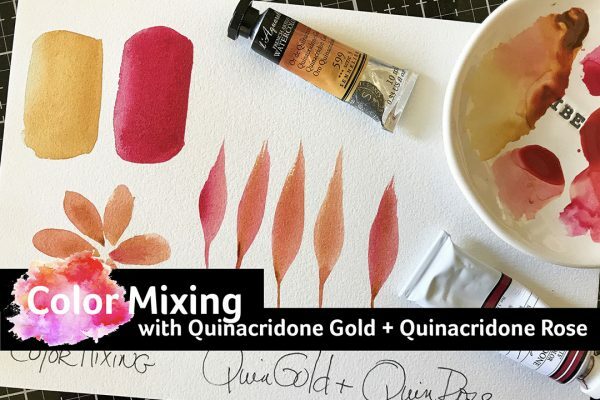 In this color mixing tutorial, I’m sharing how I mix up golden rose shades to paint in my flowy florals. Using Quinacridone Gold and Quinacridone Rose, I’m letting them mix mash together to create some really interesting looks. 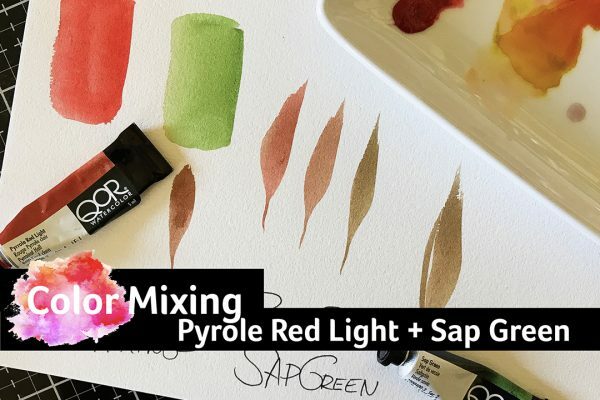 In this color mixing tutorial, I’m sharing how I mix up green shades to go with my flowy flowy florals. 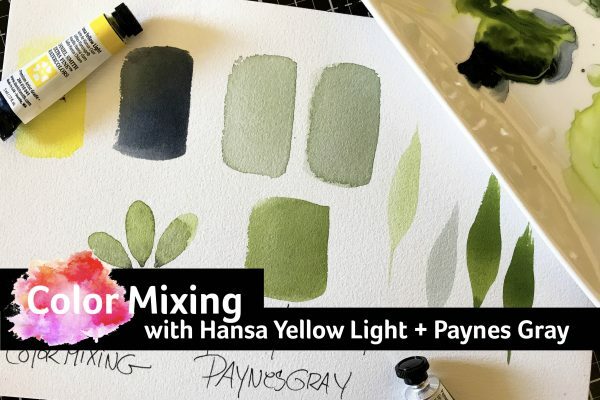 Hansa Yellow Light and Paynes Gray are such great friends! 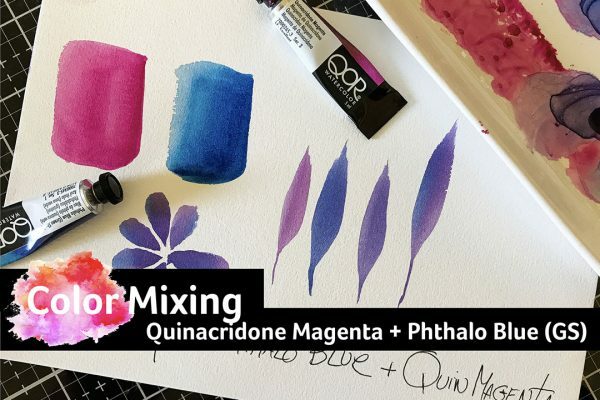 In this color mixing tutorial, I’m sharing the bold, bright and fun possibilities you can achieve when you mix Quinacridone Magenta and Phthalo Blue (Green Shade).